Seriously people, these kids are hysterical! Parenting in this day and age, with the amount and type of social media available at our fingertips, raises many interesting issues. There’s the issue of whether or not to share about our kids at all. There’s the issue of who to share things with. There’s the issue of how your children and/or significant other feel about sharing, either at this time, or how they may feel about it in the future. These are huge topics, ones that cannot possibly be addressed in a single blog entry. So today, I’m going to focus on the issue that brought me to this topic – how much I share, and whom I share it with. I love to talk about my kids. I think they’re smart, funny, adorable, and just really cool kids. I know that probably not everyone feels that way, but I do. The boys are constantly saying and doing things that crack me up. I love a good grin at any point during my day, so I often share these little tidbits in hopes that they will make other people smile too. And yes, there are many other things in my life that I could talk about, but none of them are nearly as much fun or funny as those two little guys. So, most of what I mention, in the very small area of my life that social media covers, relates to my sons in some way. But I have also been careful to try to keep my sharing relatively yuck-free. 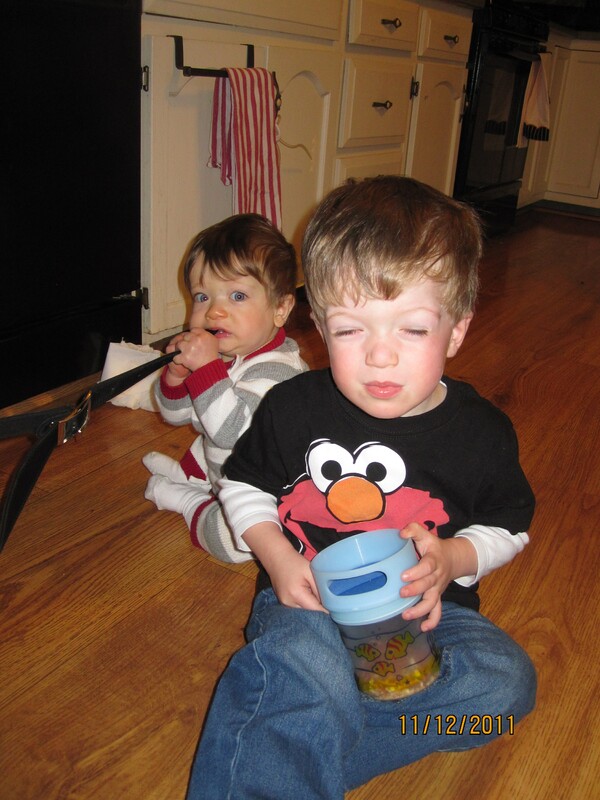 I don’t really talk about poop (previous blog entry on diaper rash notwithstanding). I don’t talk about breastfeeding. I will occasionally talk about spit up or vomit, but usually only to say how disgusting it is. I haven’t even bragged yet on Facebook that my big guy peed in the potty twice this weekend (OMG GUYS, HE PEED IN THE POTTY TWICE!!!!). Ahem. Please excuse my outburst. My opinion when it comes to sharing on the internet, especially social media sites, is that if there is something you don’t want to see or read, it is easy enough to navigate away from that area or avoid it altogether. And I’ve been in that place where I really haven’t wanted to see pregnant bellies, new babies, or a million comments about just how brilliant it is that little Susie managed to poop again today! I get it, I really do. And that was when I made judicious use of the “block user” feature, as well as stayed away from certain websites. However, now I’m in the midst of mommy-hood, and I find those pictures and comments sweet and engaging and amusing. I love to keep up with friends and families, and let them see my boys grow. My aunts, uncles, cousins, and grandma who live four hours away, were able to see pictures of Eamon within hours of his birth because of Facebook, and that is amazing to me. It is for reasons like that that I share, and will continue to share. And I will be one of those moms, and I’m okay with that. Those of you reading this are probably either moms yourself, or one of my friends or family members. What do you think? If you have kids, do you share information and stories about them on the internet? Do you have a line of what is for sharing and what isn’t? I’d love to hear your thoughts on the matter. I Survived Black Friday 2011! I am all about sharing. My line is drawn in sand, not stone and pretty much involves writing only what I feel might inspire/help others or help someone else feel a little less isolated in the day-to-day of parenthood and/or stuff I’d like to remember. I also try to steer clear of the yucky stuff and try (*try*) to keep my child-relating quotes and photos to those that I find particularly fun or adorable. I realize that not everyone wants to hear all about how awesome my daughter is (and she is!) but I agree that people who don’t care just don’t have to follow. I do make an effort to talk about other things but let’s face it – our children are a HUGE part of our lives, especially when they are so young and dependent. It makes sense that they would make up a large part of our daily conversation. And, like you said, Facebook is a great way to keep up with out-of-towners. PS You could not have picked a more perfect photo of those two for this entry! I think you are right on about people just needing to use their scrolling fingers or the block feature. Sure, there are lines that should not be crossed lightly (*ahem* poo pics), but other than that, sharing your life online is sharing your life online – mom or not. Some will be interested and some will not and it is up to the reader to choose what they read.